Dec 2016 – We succesfully completed the Cinecrowd-campaign raising 122% of our target. 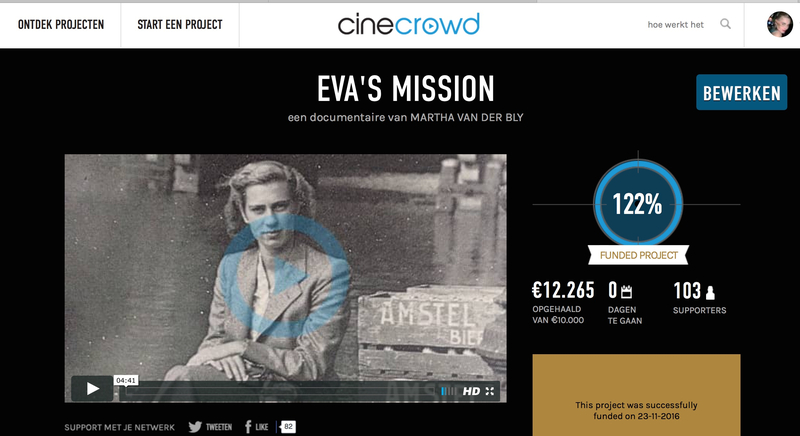 Strengthened and deeply moved by all the support of our sponsors, we now further embark full speed on documenting ‘Eva’s Mission”! Thanks for all your help!